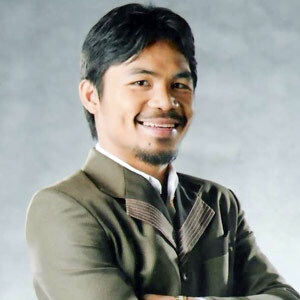 Peoples Champ Manny "Pacman" Pacquiao has expressed his intention to run for Vice President of the Philippines in the 2016 national election. However, Pacman’s dream to become the country’s second most powerful person was thwarted this early by no less than COMELEC chairman Sixto Brillantes. He said Pacquiao should undergo a reality check as he does not meet the age qualification to run for Vice President even by 2016. “Baka naman nagbibiro lang siya. He can’t run for either Vice President or President by 2016,” the COMELEC Chairman said. According to the Philippine Constitution, a candidate for Vice President must be at least 40 years old on or before the election day. Manny Pacquiao, who was born on December 17, 1978, will only be 37 years old during the May 2016 elections. Pacman should downgrade his dream one notch down and run for senator instead. Brillantes said the minimum age requirement for senatorial candidates is 35, in which Pacquiao is eligible at that time.